There are various ways to determine the size of a battery bank when designing a system. The most efficient way to size a battery bank is to determine the electrical loads and load requirements for both power and energy. Proper system design involves a number of factors and requires analysis and calculations on the loads, PV or other generation sources, as well as the battery performance profile being used in the system. 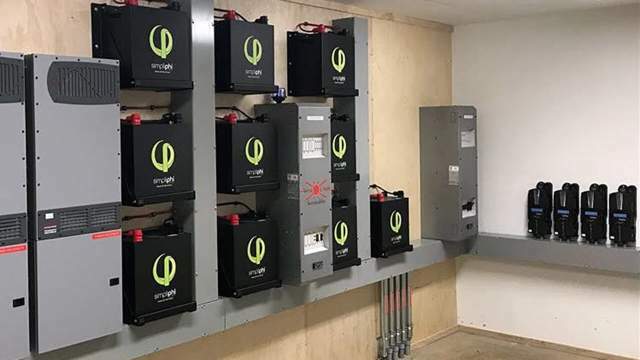 The most important step when sizing a battery system is to determine the required or desired amount of energy storage — most often using a measure of kWh-per-day. The minimum kWh-per-day value can be calculated based on the wattage and runtime of all potential loads to be supported by the system. From there, the battery size may be adjusted depending on whether the system is intended for daily cycling or backup power. The load profile and desired duration of backup power should also be considered. 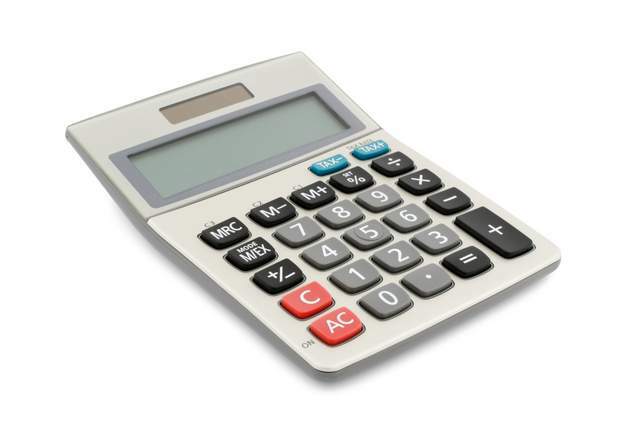 There are a number of online resources available to calculate loads and determine the appropriate kWh-per-day value from utility billing information. In this example, based on the actual usable amount of energy for 5.3 of the batteries selected, you may choose to size up to 6 batteries or round down to 5 batteries based on customer preference, either to create extra cushion for unforeseen electrical loads or to be cost conscious and design a more conservative system. The battery bank at California Governor Jerry Brown’s off-grid residence. Round up the 2.3 battery units to determine that the minimum number of batteries would be three of the 3.5 kWh batteries. From this calculation, you can round up to 7 or round down to 6 batteries based on customer preference (such as mode of operation). Every battery has a maximum charge and discharge capacity. Those rates must be adhered to for adequately charging the battery, like PV system size (charge rate) and the continuous load value to be supported by the battery (discharge rate). When it comes to power requirements, you always round up to determine the minimum battery bank size. In this example, the system requires 4 of the 3.5 batteries. For additional guidance, SimpliPhi Power offers a simple battery bank sizing estimator tool right here.